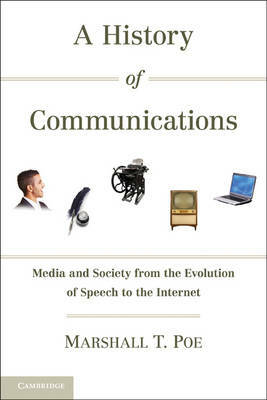 A History of Communications advances a theory of media that explains the origins and impact of different forms of communication - speech, writing, print, electronic devices and the Internet - on human history in the long term. New media are 'pulled' into widespread use by broad historical trends and these media, once in widespread use, 'push' social institutions and beliefs in predictable directions. This view allows us to see for the first time what is truly new about the Internet, what is not, and where it is taking us.